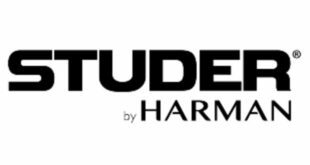 Solid State Logic will (SSL) use the upcoming IBC Show in Amsterdam to debut its new System T – S300 compact broadcast console. 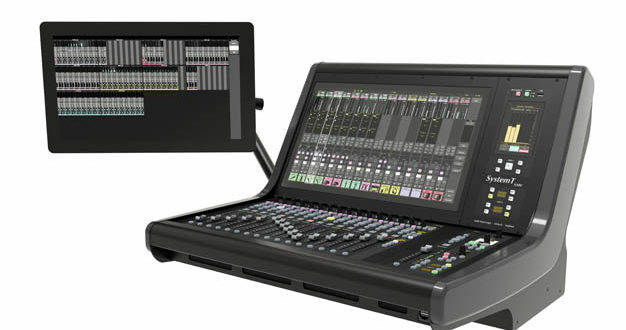 The new S300 – designed for a wide range of broadcast installations and OB vehicles – is a fixed layout compact control surface that can be combined with the complete portfolio of SSL’s System T network objects: consoles, remote tiles, touchscreen interfaces, Tempest processing engines, remote PC software and Network I/O. The new console comes in 2 versions: 16+1 faders and 32+1 faders. 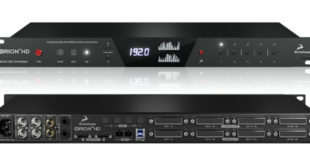 It can connect to either a Tempest T25 (256 paths @ 48kHz) or a T80 (800 paths @ 48kHz) Processor Engine and runs the same software as the larger S500 surface and TCR (Tempest Control Rack). 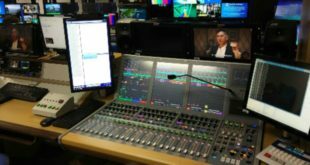 System T is the world’s first dedicated live-to-air broadcast audio production system to be entirely IP based, while AoIP connections for Tempest engines and all Network I/O devices are capable of Dante, AES67 and SMPTE 2110-30 using the same hardware. The S300 includes a fully integrated Dante control API, providing arbitrated audio and control resource sharing for SSL’s Network I/O range across SSL’s Tempest platform based consoles; S500, S300, TCR and SSL Live (L500 Plus, L300 and L200). Complete showfile compatibility between all System T consoles and controllers means production can easily move between control rooms within a facility, or an S300 can very easily be used as a backup surface to a larger S500. There are up to eight Dialogue auto mixers and two Dynamics sections per path; including compressors, oversampled true peak limiters, gates, expanders and de-essers. 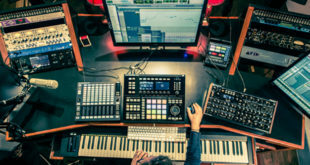 Full processing capabilities on all channels and busses provide flexibility while an additional effects rack provides multiple reverbs, dynamic EQ, noise reduction, signal generators, summing tools, upmixers, downmixers and SSL’s bus compressor as standard, with no external devices or audio connections required. SSL can be found at Hall 8, Stand D83 at IBC 2017.